Saving time (and frustration) in the kitchen, the Progressive International Whisk It is a multitasker that is meant to be. Designed to be used for mixing, mashing and whisking, the unique handheld kitchen gadget makes it easy to get the job done right—the first time. This Progressive “Whisk It” is a great all purpose tool in the kitchen. 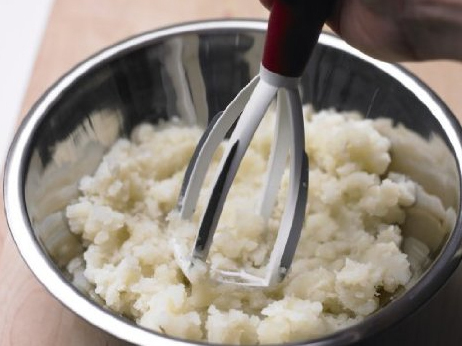 It’s designed for mashing, whisking and mixing in one great tool. Its unique shape contours to bowls and the squeegee sides cleans bowl sides with ease. It features a comfort grip handle and is dishwasher safe.